Widespread hysteria swept the internet last month following the advancement of the European Union’s controversial “copyright directive” legislation. 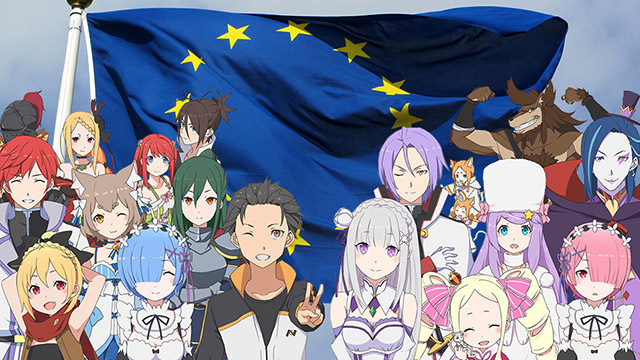 While the legislation has been dubbed a “meme ban,” EU insiders have confessed to Anime Maru staff that the legislation’s actual goal is to destroy the isekai anime by forcing websites to take down derivative content. “The memes were a smokescreen, that’s just to cause a stir on the surface so no one looks at what is really going on, they are actually going for isekai anime,” stated the anonymous source. The key component of the legislation is Article 13, which will force sites with user generated content to filter content that is potentially copyrighted. Content that a computer cannot distinguish as original could be banned from upload under the new regulations, which is exactly what the EU is counting on. The informant notes that it is literally impossible for even the most advanced computing systems to tell the difference between various isekai shows. “Isekai wa Smartphone to Tomo Ni, Dungeon ni Deai wo Motomeru no wa Machigatteiru Darou Ka?, Overlord, Sword Art Online, Isekai Maou to Shoukan Shoujo no Dorei Majutsu, Log Horizon… They’re all mathematically the same, they’re identical,” the anonymous source added. Accordingly, under the new law sites like Crunchyroll will be forced to take down all isekai shows, as the shows are so similar that it is impossible to say which show is infringing on which’s copyright. The anime industry took immediate action against the EU’s upcoming law by announcing Isekai Quartet, a crossover anime including characters from Konosuba, Overlord, Re:Zero and Youjou Senki. Err… no? The EU law in its current inception (since it’s still a work-in-progress) does not mandate upload filters. But good job spreading more hysteria. Keep it up! This one time I sat on a tire….I think I’ll call it SATIRE!